Depending on the volume of recyclables you generate, choose the container size that best suits your needs. You can choose to receive either an email, phone call, or text message reminder notification. 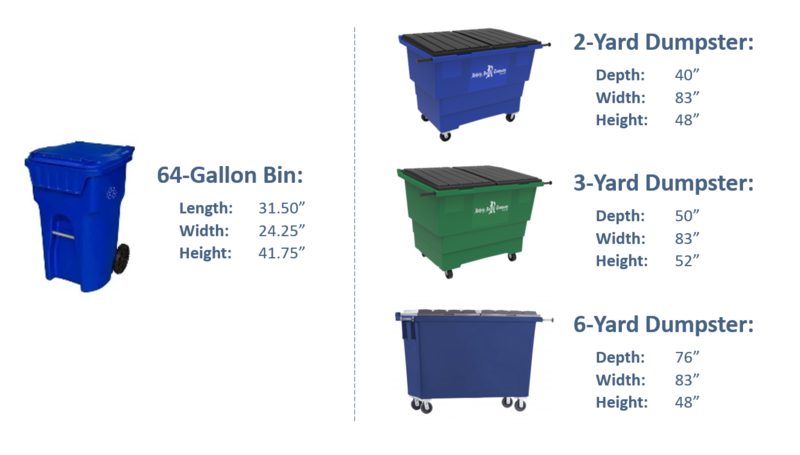 Get the Lowest Price: depending upon the size of your available space, it is more cost effective for you to have more bins with less frequent pickups since pricing is based per collection (with the first bin costing $16.50 and each additional +$5.50). 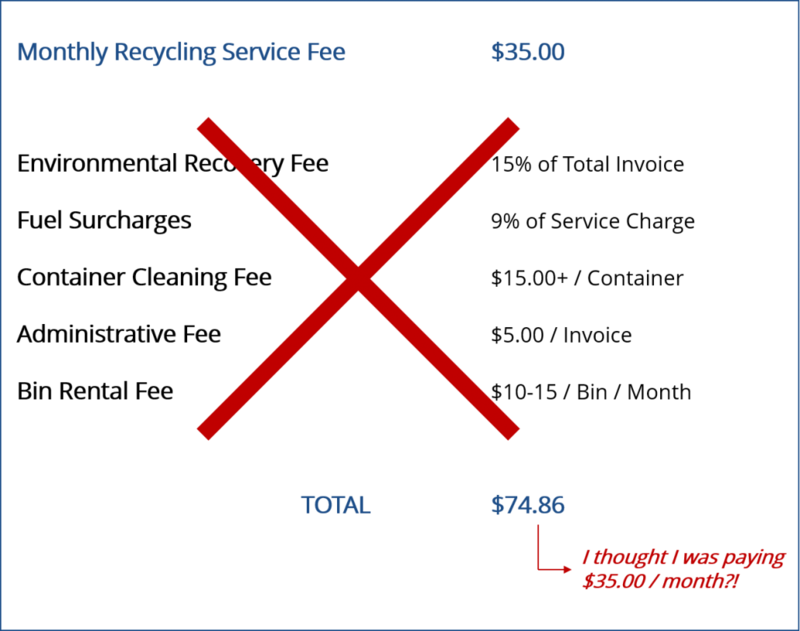 - - For example: having two (2) bins collected Bi-Weekly is $44.00, but having four (4) bins collected Monthly is just $33.00. Or, call us at (801) 355-0334 for more info and to get setup. 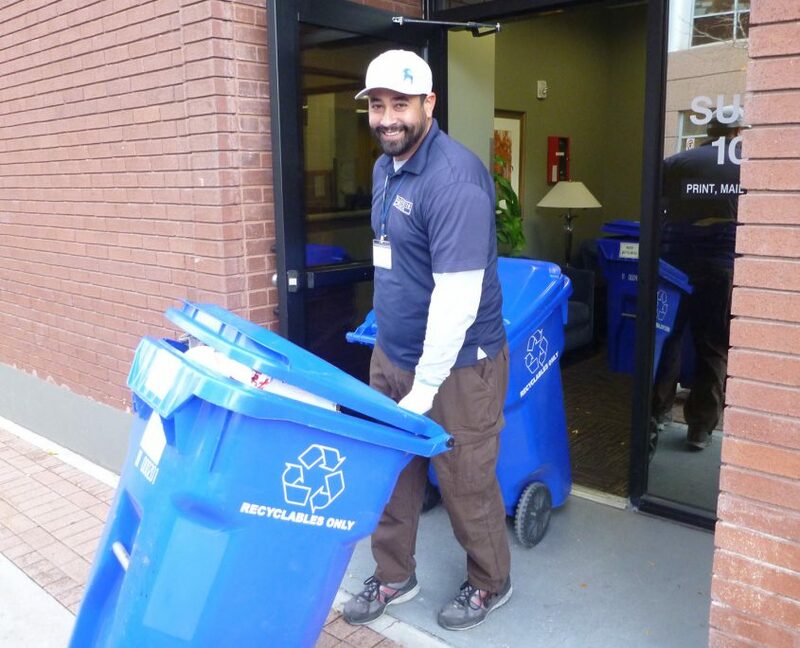 Answer: All recyclables need to be clean, dry and free of any food residue before being placed in a mixed recycling bin. What items can go in the mixed recycling? 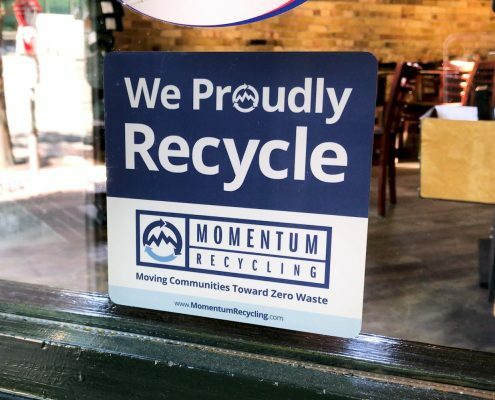 Answer: It is often difficult to remember all of the ins-and-outs of recycling, which is why we provide a Resource Center on our site that includes signage you can use to help everyone in your organization properly recycle. Please note that glass is collected separately and that we also offer a green waste collection service for food waste. 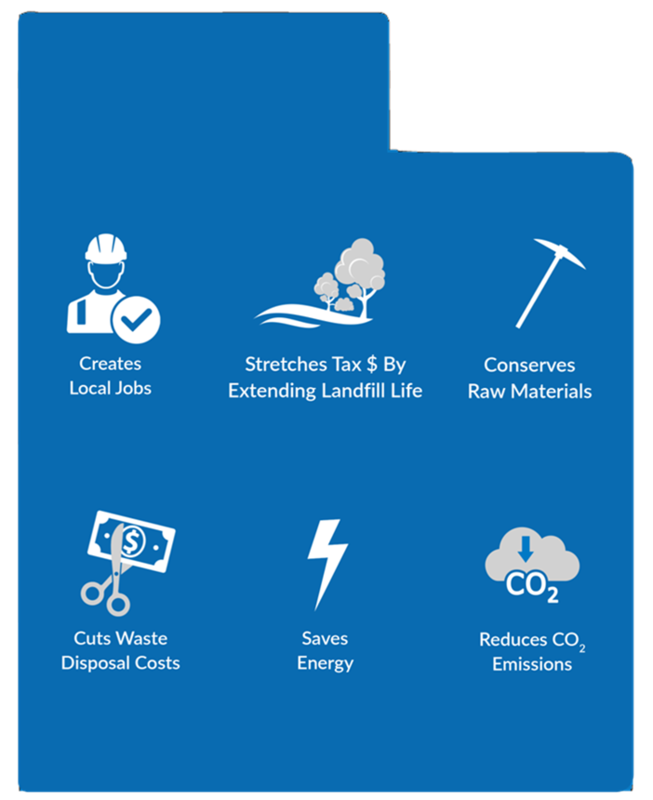 Answer: Salt Lake County’s local Material Recycling Facility (MRF) is unable to source-separate and process glass at their facility. 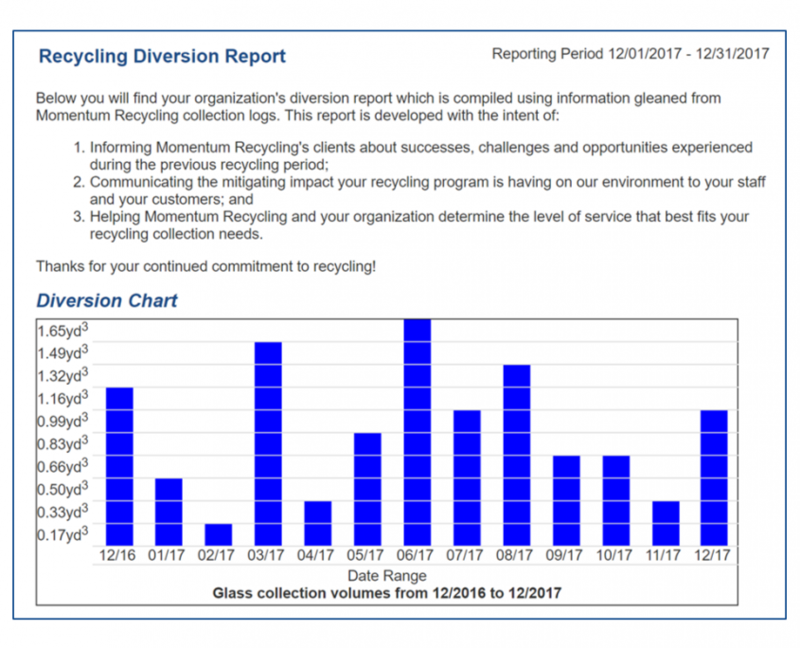 Glass is very difficult to remove (think needles in a haystack) once the small shards find their way into the mixed recyclables – which then devalues the recycled commodities later when resold into the market. Glass also breaks fairly easily, and tends to then become very sharp, posing a significant risk to the person that handles and/or sorts the material. Lastly, when source-separated, more glass is captured in the process and able to be recycled. 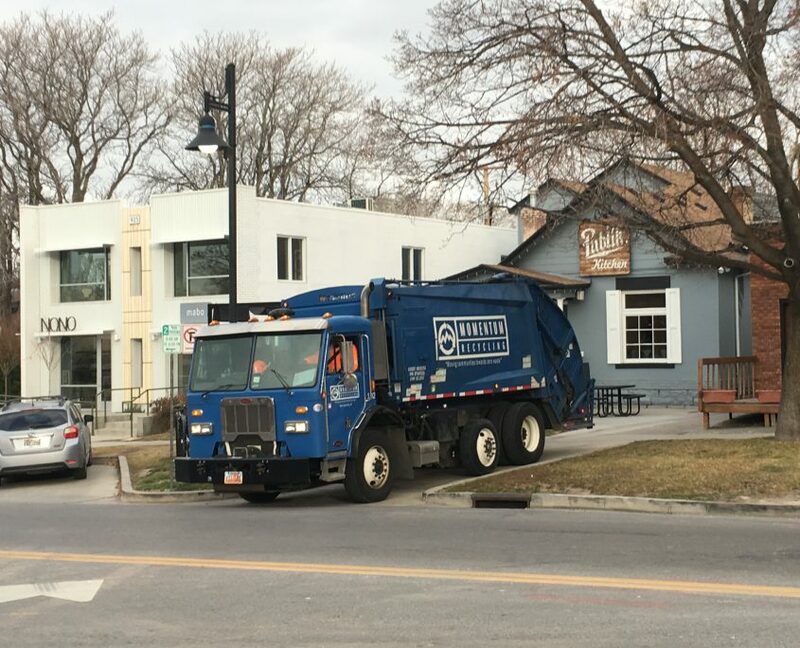 Answer: We deliver the mixed recyclables to Waste Management’s materials recovery facility (MRF, pronounced “murf”) right here in Salt Lake City where they are processed.